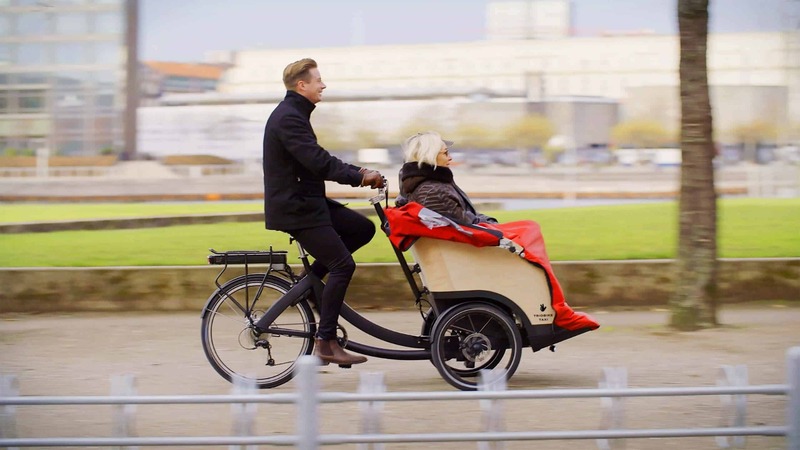 The Triobike taxi is a bike for transporting people who enjoy the wind in their hair! The bike is a pleasure to ride even when carrying two adults up a hill. And, it’s a pleasure to sit in with soft, bespoke cushions. We’ve even adapted the seat to make it accessible for people with walking difficulties. Once seated, safety is key with a seatbelt per passenger. The Triobike taxi has a handy storage unit and a retractable hood and waterproof blanket for bad weather. Its many windows ensure a superb all-round view. Carpé diem!